Arthur was framed! Arthur doesn’t usually sit on my plan chest. This is not because he is not supposed to (though he isn’t, in theory), it is because it is a very large expanse of surface which presents absolutely no challenge or directions to his sense of geometry. There is nothing to indicate where it would be good to sit. However, I left an empty picture frame on the plan chest a few days ago, on top of a towel, no less. Suddenly the top of the plan chest has made sense to Arthur: that is where Arthur sits. And he has, for several hours a day. 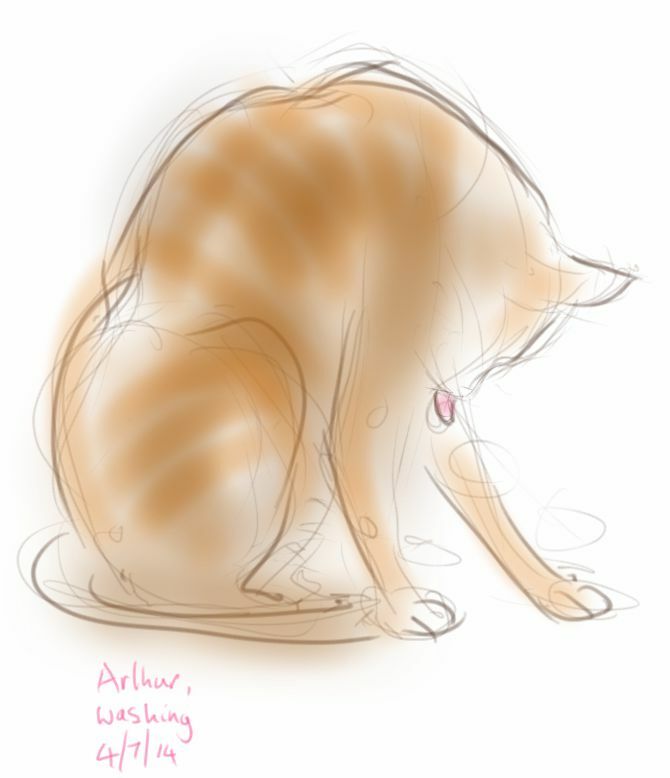 He also sits in the frame to have a wash, though I didn’t draw it in in this picture. 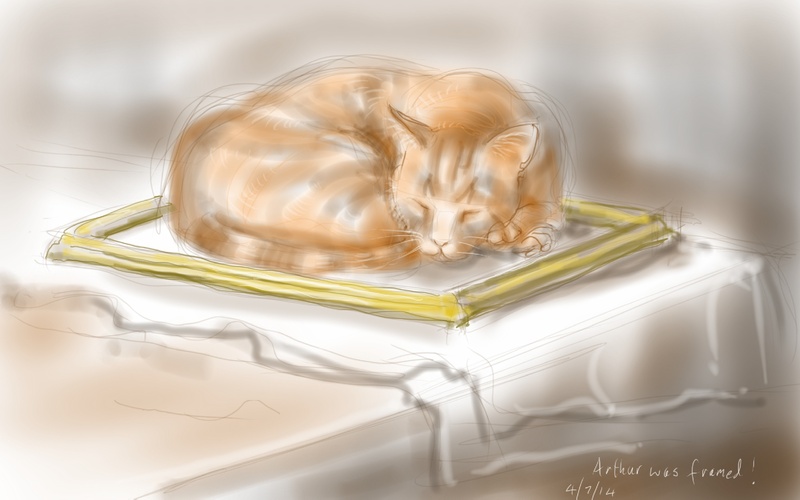 This entry was posted in Cats and tagged art, arthur cat, cat, cat sleeping, cat washing, cat-of-the-day, digital sketch, drawing, ginger cat, illustration on July 5, 2014 by Nancy Farmer.